RE:NEW RE:PLAY is a residency series, curated by Travis Chamberlain, at the New Museum in NYC. In May 2009 the resident artist Nick Hallett is presenting a four-part series VOICE & LIGHT SYSTEMS "connecting the human voice to multimedia ritual". 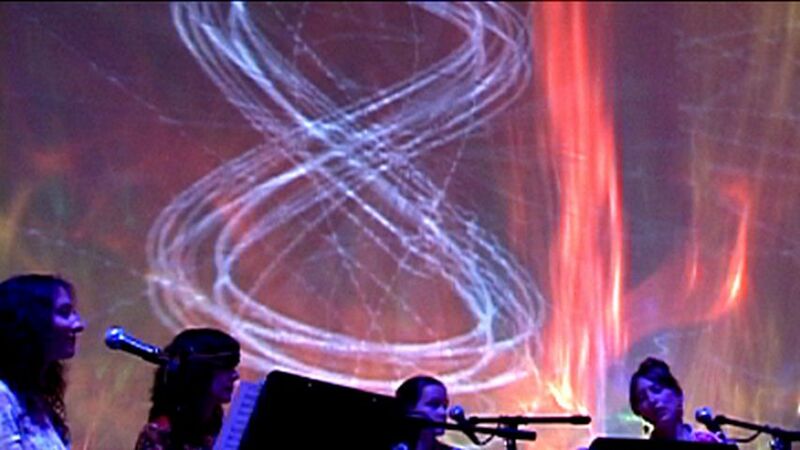 The third - Whispering Exercises - was a special concert version of a multimedia opera Whispering Pines 10 that he is developing with the video artist Shana Moulton to be presented at The Kitchen in NYC in 2010. The first clip is the whole piece. The second is a short excerpt - Pop Song - which features Katie Eastburn (of Young People) on lead vocal. .
Music & text by Nick Hallett, with the following exceptions: Oscillographics Solo by Ray Sweeten ; "The Rainbow Passage" is a public domain text excerpted from Grant Fairbanks' Voice and Articulation Drillbook.